In May 2013 Tom Webster and Kate Hofman founded a company with a vision to contribute to a more sustainable farming system using aquaponics. Aquaponics is a combination of fish farming and growing plants in a nutrient rich solution other than soil. 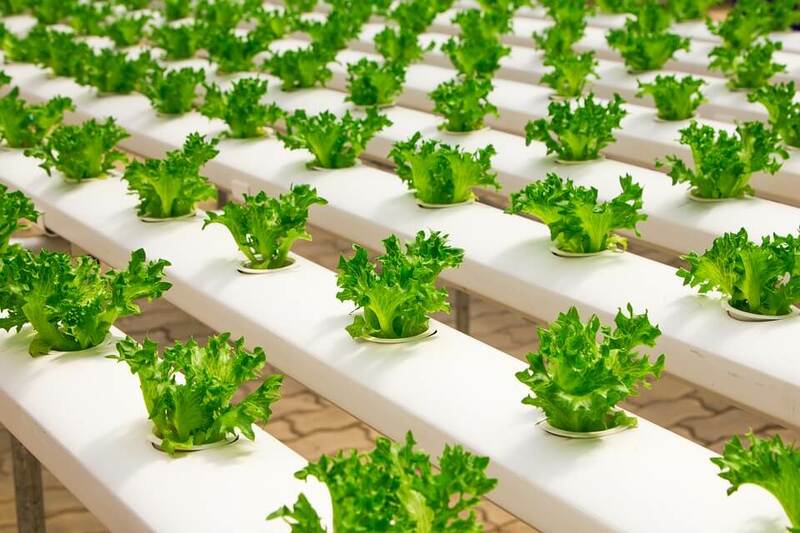 This sustainable solution enables the urban farm to produce a year-round harvest of fresh fish, leafy salad crops and herbs in an energy-efficient controlled environment. GrowUp Urban Farm started out by creating the GrowUp box which was a demonstration of the concept built in a shipping container at London Bridge until it moved to a unit in London Industrial Park in Beckton. So how does it all work? Essentially the farm is comprised of two separate systems. The first is a recirculating aquaculture system where water passes through a series of fish tanks into a filtration system and then back to the tanks. The second is almost a normal hydroponics system with three fundamental differences. The first being that there is no natural light, LED is used instead. The second difference is instead of the farm being a horizontal plane there are lots of hydroponic benches that stack ontop of each other, known as vertical farming. This maximises growing potential in the urban space. The third difference is instead of feeding freshwater into the system, water from the fish farm is used which contains the nutrients the plants need. Currently the urban farm grows all sorts of micro-greens such as coriander, micro basil, fennel and rocket. The farm also has a range of salad crops such as pea shoots, sunflower shoots, watercress and baby kale. However the main focus is the traditional salad crops that are seen in supermarkets such as full-sized rocket, watercress, spinach, lettuces and pak choi. Currently the UK imports a large amount of crops therefore establishing the aquaponic farming method is a much more sustainable and fresher solution as crops no longer need to travel long ways from places such as Spain, Italy, Africa and USA just to keep supermarket shelves stocked. GrowUp Farms is a commercial test bed created to research, develop and prove the idea and method. As a result the company is eligible for a significant rebate on its research and development (R&D) expenditure. The available tax relief on R&D activities is very generous and should be utilised, to find out more contact a Swanson Reed R&D specialist today.